We have had a gala season of celebration in our industry of the state tourism awards recognising amazing tourism experiences and services across the country. 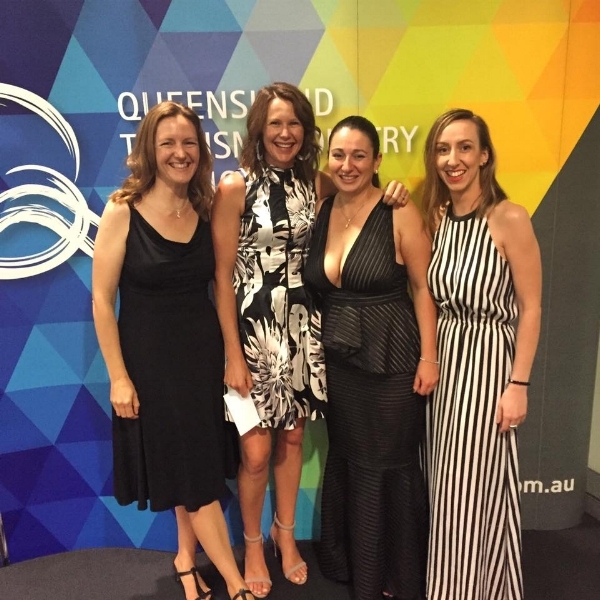 Tilma Group was fortunate to attend the Queensland and New South Wales awards ceremonies, with our country girls in heels, hairdos and makeup, to celebrate the wins of clients we helped with their award applications. Entrance to the National Tourism Awards! Learn more about how Tilma Group helps clients create professional award submissions: email us at admin@tilmagroup.com.au for a FREE copy of our toolkit on how to write an award-winning tourism award submission. See you all in Darwin, at the national awards ceremony, the Qantas Australian Tourism Awards, Friday 24 February! We look forward to meeting you there! Photos: Team Tilma at the Qld awards; Lisa Cameron and Kushla Gale with Borobi, the 2018 Gold Coast Commonwealth Games mascot - a dream job for Lisa; Toowoomba Carnival of Flowers winning; Linda Tilllman with Tourism Councillor Geoff MacDonald of Toowoomba Regional Council. Tilma Group clients included Whitsunday Escape Bareboat Holidays (Unique Accommodation Silver), Cape Trib Beach House (Standard Accommodation Bronze), Bookeasy and a number of clients through mentoring for QTIC. Tilma clients included Yarrangobilly Caves House (NSW NPWS) (Unique Accommodation Commendation). Markus Gibson-Huck Young Achiever Award - Kate Landford, Questacon. For a FREE copy of our toolkit on how to write an award-winning tourism award submission, email us at admin@tilmagroup.com.au.